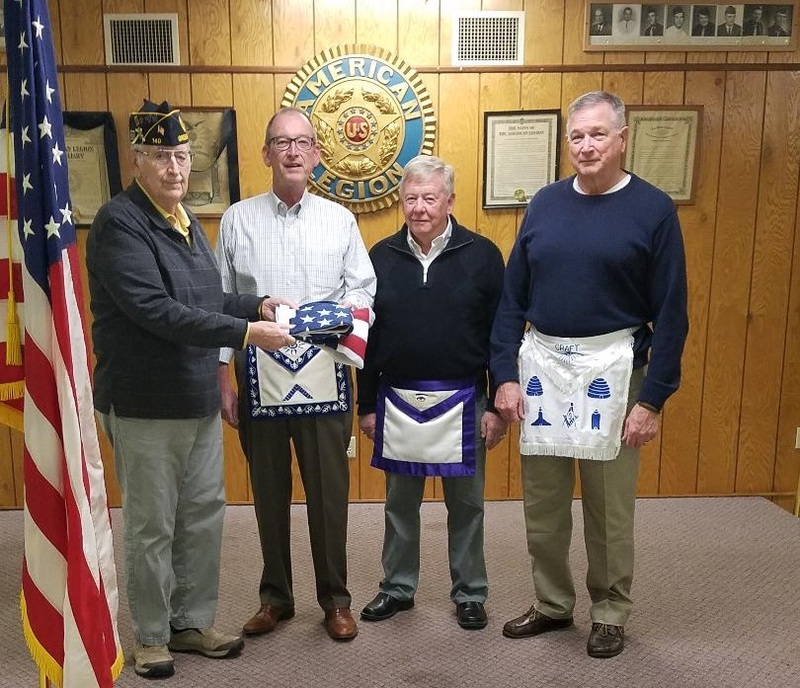 Greenville Post 140 of the American Legion makes donation of a new American Flag that will fly over Greenville Masonic Lodge #143. The flag is being presented by Ken Price, Commander of the Greenville American Legion. Pictured left to right are: Ken Price, Commander of American Legion Post 140, John Dutro, Worshipful Master, Greenville Lodge 143, Larry Ullery, Past District Deputy Grand Master, 3rd Masonic District and Chris Rehmert, Marshal, Greenville Lodge 143 and Commissioner for the Darke County Veterans. Freemasonry is the leading fraternal organization in the world. Its origins are lost in the unrecorded history of medieval times, but it formally organized in London, England in 1717. Current worldwide membership totals over 3 million members, 1.1 million of whom are in North America. With 75,000 Masons and 450 local Lodges, Ohio has one of the largest Masonic memberships of any state in the country.